I will never forget how I learned about Mr. G.
It was early July of 2013, and I was meeting with a few music industry types at Geist Im Glas, a bar on Lenaustrasse in Berlin. One of them was Darwin, a local DJ with round eyes, a thread of slightly-grisly tattoos down one arm, hair so perfectly glossy and wavy that I was suspicious it might be a wig, and a zealous demeanor. She’s the sort of person who makes a strong first impression, in part because she’s super enthusiastic about every topic she discusses—and on that day, one of those subjects was Mr. G.
Her eyes were wide with fervent conviction when she explained that Mr. G is a legend, but hardly anyone knew of him until that summer. 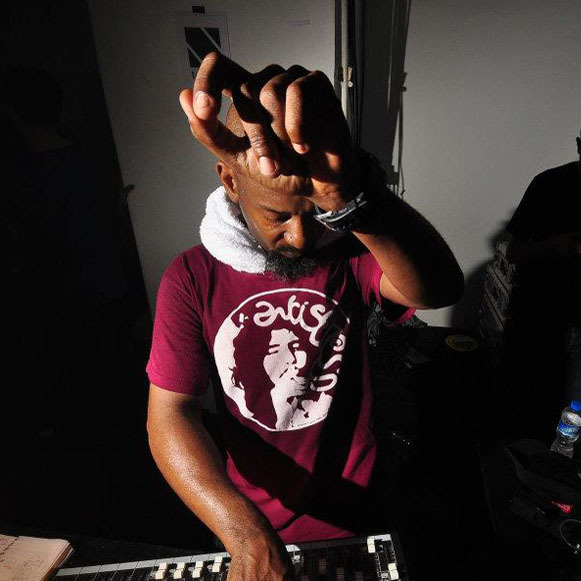 His real name is Colin McBean, and he’s produced a steady stream of dance floor 12″s that date back to the 1990s, when he made fast-paced techno tracks as part of London’s BMG-signed duo The Advent. Around the year 2000, he switched gears and started to construct soulful house grooves as Mr. G. His work from the new millennium has appeared under a labyrinthine collection of sub-aliases—which means dedicated fans have had to dig for his treasures—but they’re united by the same sonic recipe: kick drums so taut you could bounce a quarter off them, rumbling blankets of bass, and rustling, jacking hi-hats. As an introduction to his work, she sent me a mix she had made using only Mr. G edits and tunes, and forbade me to share it with anyone. Despite his tireless and influential output, Mr. G produced in relative obscurity until around that summer, when Radio Slave’s prolific Rekids label released a retrospective compilation of some of the most potent jams in G’s extensive catalog. Advertisements for the collection appeared on little TV screens in Berlin’s subway cars—and I know that because I was in those trains at the time, taking pictures of the ads to protest the militant secrecy with which Darwin protected her mix. Despite the signs that his profile was growing, I kept Darwin’s mix to myself, and I played it over and over again all summer. By the time I went home to New York, it didn’t feel right to listen to the set unless I was feeling nostalgic for Berlin. Her Mr. G megamix became one of those pieces of music that acts as a time capsule for a certain period in life; it contains and revives a particular vibe and a distinctive emotional timbre. It’s been over a year since the set was passed along to me, and Darwin’s resolve to protect her secret weapon has dissolved, because he’s not such a secret anymore. In fact, he’s about to release his first-ever solo full length, Personal Momentz, on November 10, and Darwin has allowed us to publish the legendary set here to celebrate the occasion—it’s in the SoundCloud embed below. 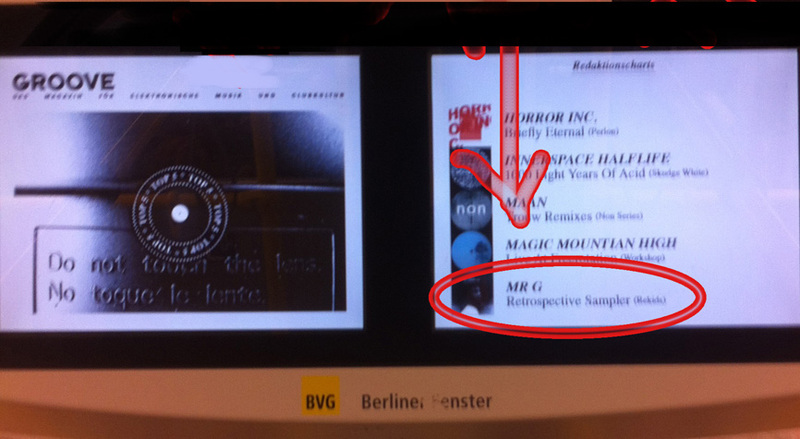 Each of the 12 tracks on Mr. G’s forthcoming LP and beyond symbolize a poignant time in McBean’s life, much the same way the megamix became a vessel for my memories of Berlin in 2013. That’s what makes Mr. G’s productions seminally brilliant and emotionally potent: they’re infused with vibes and feels and remembers. I was calling to get the story behind my 10 favorite Colin McBean 12”s for the piece printed below. I guess I was able to sense which pieces from his catalog corresponded to particularly cogent memories, because at the end of the interview, he told me that the tracks I had chosen “were all quite personal, which is interesting.” Perhaps that’s proof that Mr. G records are like audio horcruxes—at the heart of every Colin McBean 12”, there’s a bit of his soul. “That one is really painful. ‘Daily Prayer’ was probably one of the first things I wrote after my good friend and mentor, Lex, died. I’d spent eight months looking after him—I gave up my career and everything to look after and care for him. He had a brain tumor. It was a good year later that The Up Hill Battle EP came out, and it was a way of me saying that I’ll never forget him. I do that for a lot of things—if there’s something important to me, I put a marker on a record, because then it’s there forever. “Well, that says it all, you don’t need to ask that one. We [The Advent] were signed to BMG, and then BMG started a label for us called Metalbox. At the beginning, it was Cisco [Ferreira] and myself; we were called G Flame and Mr. G. But then, as time went on—you know how you get older and different. He decided he’d like to keep the G Flame name if he ever wanted to do house, and I became Mr. G.
“My friend was already ill at this time, so the quality of my writing wasn’t particularly great at that point, because I couldn’t put as much time into it, because my thoughts and mind were elsewhere. And then a friend of a friend said he worked with someone who had a label, they would do it right, they really love what I do. I remember saying, ‘Well, at this point, I can’t say yes or no, because I’m balancing my life on a knife’s edge.’ I didn’t know whether I’d find time to do quality work.